Please Note: Things to know before you purchase your new All American Sterilizer. 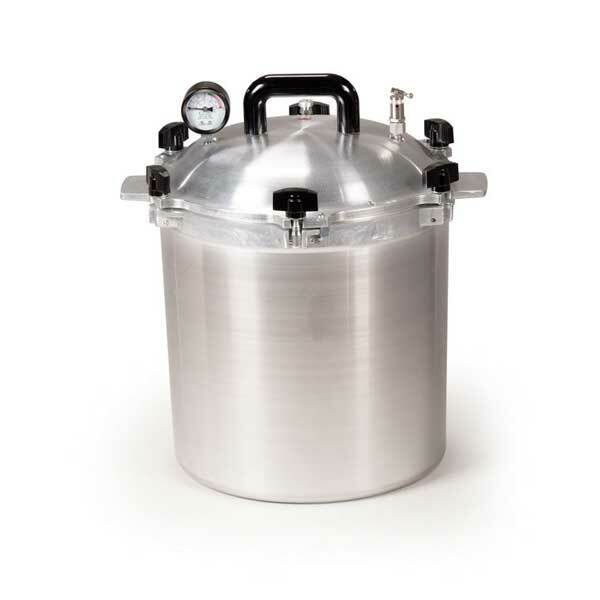 Use over any effective heat source, the All American 1925X Steam Autoclave Sterilizer provides dry sterile dressings and instruments in mere minutes with all micro-organisms and bacteria destroyed. Only All American Sterilizers feature an exclusive, precision machined "Metal-to-Metal" sealing system. Positive action clamping locks align the cover to the base forming a steam tight seal. Because no gasket is involved, the cover is always easily opened and closed.